Multiple share classes increase the listing for a single fund. 2. 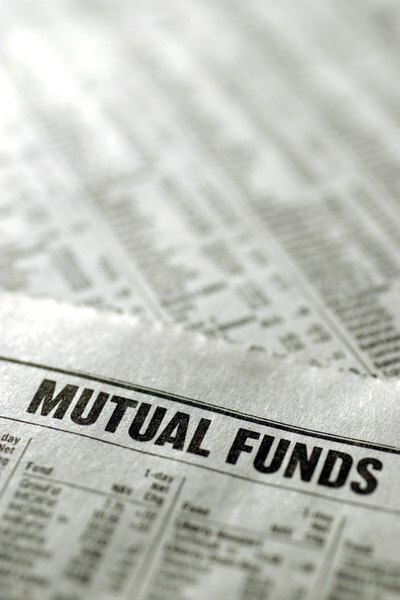 What Is a 12b-1 Fee in a Mutual Fund? The use of mutual fund share classes occurs mostly with load funds, allowing financial advisers to sell from several different fee structures on a single fund. In the fund industry, the structures of class A, B and C shares is pretty universal. Further along in the alphabet, different fund companies define the share classes differently. A class N share designation is most often used by no-load fund providers. No-load mutual funds do not have either up-front or deferred sales charges. This means that you don't pay a fee to buy the fund or to cash it in. The costs to investors of a no-load fund are the annual expenses common to all mutual funds. The annual expense ratio -- a percentage of fund assets -- can vary significantly from fund to fund. If a no-load fund company wants to offer a fund with different expense levels for different types of investors, the fund will have more than one class of shares -- such as class N shares. The class N shares of a no-load fund will typically include 0.25 percent of what are called 12b-1 fees in the total expense ratio of the fund. The 12b-1 fee covers additional distribution or service expenses not included in the regular management fees of a fund. The 12b-1 fees are named after the Securities and Exchange Commission rule that authorizes funds to charge the extra expenses. If the 12b-1 charges are classified as "customer service" fees, the maximum annual charge is 0.25 percent. If a no-load fund is offered with share classes that both include and do not include the 12b-1 charge, the most common share class designations are class N for shares with the 12b-1 fee and class I for shares without the fee. The class I shares will have lower total expenses For example, the total expense ratio for the class N shares of a particular fund is 1.20 percent. The class I shares have total expenses of 0.95 percent. Class I shares will only be available to institutional investors and typically have minimum investment amounts of $1 million or even $5 million. The 0.25 percent 12b-1 fee included in the expenses of the class N shares of a mutual fund is often used to compensate discount brokers that offer the funds. Most of the discount brokerage companies allow investors to buy no-load funds without commissions. Since the brokers are handling all of the application paperwork and reporting for the customers, the mutual fund company will compensate the broker from the collected 12b-1 money.